At Illinois, computer science students work at the leading edge of innovation and discovery. We set extraordinary minds free to solve our world's most important challenges. 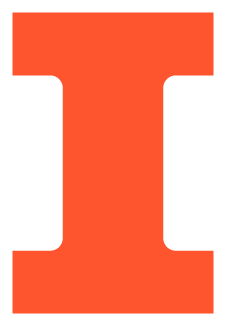 Help ensure that Illinois continues to set a global standard for CS research and education. Together, we give the brightest minds an opportunity to thrive. The Engineering Visionary Scholarship Initiative makes an Illinois education accessible to the most-deserving and highest-achieving undergraduate students from all backgrounds. Large, renewable scholarships help us to lift the financial burden and give talented students a runway toward realizing their dreams. Give to Support CS Visionary Scholarships -- Grainger Foundation matches all gifts! Together, we are the entrepreneurs, educators, and technical visionaries who make significant contributions to the computing field and to society at large. By bringing world-class faculty, the brightest young minds, and industry partners together in the most technologically advanced classrooms and labs, we are positioned to solve the world's most important challenges. Computer science underpins nearly every aspect of modern life. The arts, science, business, medicine, and engineering all benefit from the computational power, modeling, and thinking found in computer science. We are looking for advocates, partners, and participants for our outreach programs that will help inform K-12 educators, and prospective students and their families about the fascinating and fun applications of CS. Recurring gifts of all sizes are an essential way we provide support to our areas of greatest need--especially those that require a nimble response. Annual Funds supplement scholarship and fellowship offers, outreach programming, and sending students to top conferences and technical competitions. Alumni giving also functions as a measure of the department's strength and affects our national rankings. Be a part of Illinois' most ambitious philanthropic campaign ever. Support the Department of Computer Science today. Please connect with the Advancement Office to let us know how you would like to get more involved with the Department.